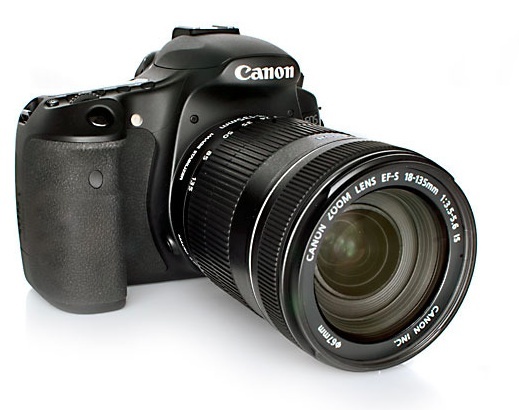 I've reviewed the Canon EOS 60D extensively, both on this site and for Macworld Magazine. I felt that this $999 DSLR body is a great value for serious enthusiasts who want both top quality images and video. Pop Photo has now published their lab test of the 60D, saying that, "it's clear that this 18MP Canon is going to be a big star." One of the most interesting areas of the test had to do with high ISO performance. "In noise suppression, the 60D pulled a surprise upset. Canon managed to keep noise lower at its default settings than Nikon [D7000] did, despite the 60D's extra megapixels. In our test, the 60D scored a Low or better ratings from ISO 100 through ISO 800. It didn't reach an Unacceptable rating until ISO 6400, while the D7000 did so at ISO 3200. In fact, the Canon turned in lower noise results at every ISO the two cameras share, except at ISO 800, where they tied. (The 60D doesn't go past ISO 12,800; the D7000 reaches one more stop to ISO 25,600.)" If you're interested in the Canon EOS 60D , it's worth reading the Pop Photo Lab Test.